Their current mayor is Mayor Wayne Walter. Zip codes in the city: 56143. Some of the notable people born here have been: David Ellefson (musician and songwriter), and Tom Tangen (actor and film producer). It was revealed by Des Moines Register on January 5th, 2017 that Bertella Marie McKeehan (Johnston) died in Des Moines, Iowa. Ms. McKeehan was 79 years old and was born in Jackson, MN. Send flowers to express your sorrow and honor Bertella Marie's life. It was disclosed by The News Tribune on January 1st, 2017 that Judith Marie Morstad (Ree) died in Tacoma, Washington. Ms. Morstad was 97 years old and was born in Jackson, MN. Send flowers to express your sympathy and honor Judith Marie's life. It was disclosed by The Daily Herald on October 9th, 2016 that Mary Lynn "MeMe" Lemke (Vasen) died in Carol Stream, Illinois. Ms. Lemke was 86 years old and was born in Jackson, MN. Send flowers to share your condolences and honor Mary Lynn "MeMe"'s life. It was noted on August 18th, 2016 that Vernon D Matson passed on in Lombard, Illinois. Matson was 91 years old and was born in Jackson, MN. Send flowers to express your sorrow and honor Vernon D's life. It was written on August 11th, 2016 that Vernon D Matson passed on in Lombard, Illinois. Matson was 91 years old and was born in Jackson, MN. Send flowers to express your sympathy and honor Vernon D's life. It was revealed by Des Moines Register on August 9th, 2016 that Janet R "Jan" Stolp (Nielsen) passed away in Iowa. Ms. Stolp was 77 years old and was born in Jackson, MN. Send flowers to express your sympathy and honor Janet R "Jan"'s life. It was reported by Waterloo/Cedar Falls Courier on July 17th, 2016 that Loraine Vorland (Herbranson) died in Cedar Falls, Iowa. Ms. Vorland was 91 years old and was born in Jackson, MN. Send flowers to share your condolences and honor Loraine's life. It was noted by Chicago Tribune on April 27th, 2016 that James R Motl died in Chicago, Illinois. Motl was 80 years old and was born in Jackson, MN. Send flowers to express your sympathy and honor James R's life. It was reported by San Diego Union-Tribune on May 24th, 2015 that Mary Wile (Mundell) died in San Diego, California. Ms. Wile was 88 years old and was born in Jackson, MN. Send flowers to share your condolences and honor Mary's life. It was revealed on April 11th, 2015 that Muriel M Hybbert passed on in Jackson, Minnesota. Hybbert was 92 years old. Send flowers to share your condolences and honor Muriel M's life. Jackson is a city in Jackson County, Minnesota County, Minnesota, United States. 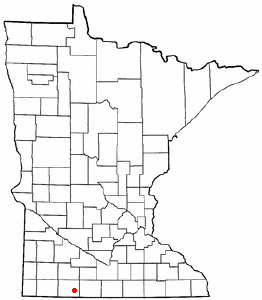 It is the county seat of Jackson County, Minnesota County . The population was 3,501 at the 2000 census. . . The official website for the city of Jackson is http://www.cityofjacksonmn.com/. Funerals in Jackson, MN on Yahoo! Local Get Ratings & Reviews on Funerals with Photos, Maps, Driving Directions and more. Find a Funeral Home inJackson, Minnesota MN to provide the caring burial and ceremonial services your family deserves. Osterberg, John - Osterberg Funeral Home, Jackson, MN : Reviews and maps - Yahoo! Local, 507.847.3300. Get Ratings, Reviews, Photos and more on Yahoo! Local.